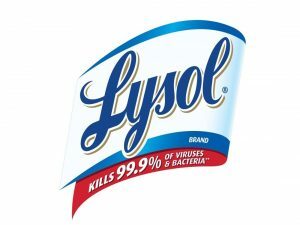 PARSIPPANY, N.J. — Lysol is launching the One Less Sick Day initiative, an innovative cold & flu education and prevention program with the goals of helping to protect students against germs and reducing the number of sick days this school year. As part of this initiative, Lysol is educating parents, students and teachers across the country to arm them with information on ways to minimize the spread of cold & flu germs and create clean, safe environments. Lysol is encouraging families and teachers to utilize the Lysol Healthy Habits program, which provides fun, educational materials for kids to help them build illness prevention habits that help reduce illness-related absenteeism. The program was developed in partnership with the National Education Association (NEA) and National Parent Teacher Association (PTA), with messaging support from the Center for Disease Control and Prevention (CDC). To keep parents more informed of illnesses going around their child’s school and allow them to act sooner, Lysol is also partnering with Kinsa, maker of the first FDA-cleared smart thermometer. Lysol and Kinsa will equip more than 10,000 schools across the country with free Kinsa smart thermometers and Lysol sanitizing products to help protect against viruses and bacteria. Kinsa smart thermometers and the connected mobile app help parents anonymously understand which illnesses are circulating, guiding them through next steps if fever and symptoms are cause for concern. Through this partnership, nurses and teachers in participating schools will receive a free Kinsa thermometer, and in select schools, every single parent will have the opportunity to receive a free Kinsa thermometer. La La Anthony is partnering with Lysol to help educate parents and arm them with tips to help prevent the spread of cold and flu germs. La La will be also sharing her own personal experience on the impact that sick days have on her and her school-aged son, insights on all the not-so-obvious places parents can help disinfect with Lysol Disinfectant Spray and information on Kinsa smart thermometers.